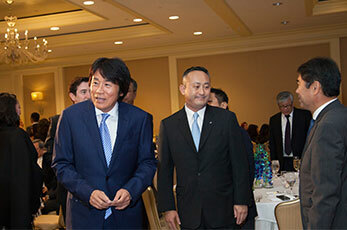 Sushi Industry Pioneer & Innovator - Since 1986. 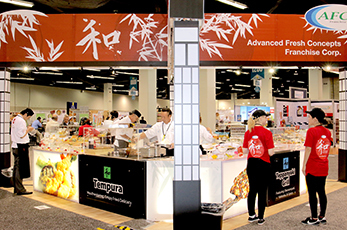 Our company is the original purveyor of supermarket-based sushi bars, and continues to be the dominant force in the industry. …resulting in an exceptional customer experience with each visit. 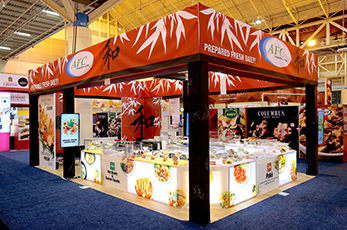 World’s Premiere Sushi Company franchises over 4,000 independently owned and operated food service counter locations in retail establishments throughout the United States, Canada, and Australia. 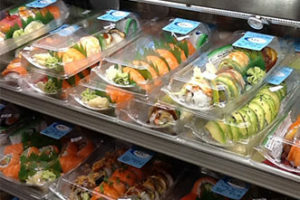 Our locations carry a wide variety of great tasting and nutritious sushi which is made fresh daily at all of our stores. From traditional favorites to contemporary creations, we continuously develop exciting culinary concepts that are the envy of the industry. Our suppliers must be willing and able to meet stringent food safety and quality standards, which include quality checks throughout the supply chain process and proven traceability programs under a Global Food Safety Initiative (GFSI) recognized scheme. A compassionate corporate culture with staff that cares about the company, cares about their work, and most importantly, cares about each other. Solid financial structure to meet any challenges ahead and maintain success. Economies of scale achieved through sheer volume and relationships with suppliers. …..with endless potential for growth and expansion. AFC is committed to product freshness. Our freshly prepared sushi uses only the finest, highest-grade ingredients. 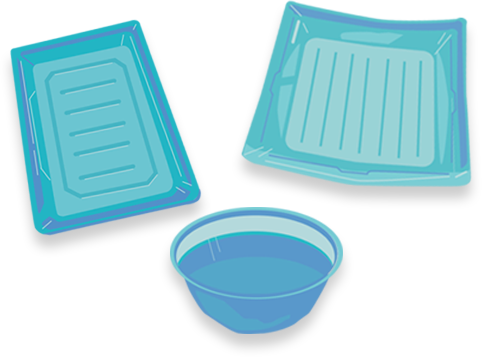 AFC uses various types of recyclable and compostable packaging containers to lessen the impact on our planet. within 2019, to the extent feasible. Participation and selections may vary by location. 2017 Marks the 30th Anniversary of Advanced Fresh Concepts Corp.
Japanese Food Service Association’s tour of our headquarters; where 50 individuals from 30 member companies attended. 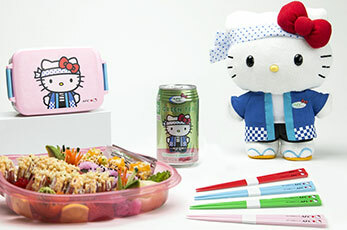 AFC was granted a license agreement by Sanrio, Inc. to offer limited edition Hello Kitty promotional items at participating food service counters. To foster the trust that AFC has with its customers, we are committed to listening to and communicating with everyone in our supply chain. We maintain a culture of high standards in quality, service, and food safety. to fight complacency and make continuous improvements to our system. These policies culminate in a trademark with excellent brand integrity. As an example, all AFC suppliers must be willing and able to meet stringent food safety and quality standards, which include quality checks throughout the supply chain process and proven traceability programs under a Global Food Safety Initiative (GFSI) recognized scheme. 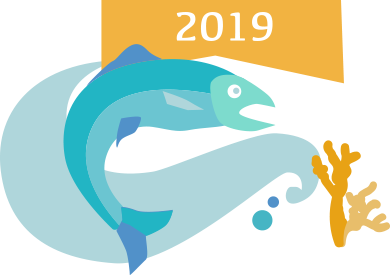 Our suppliers are expected to be certified through a successful third-party audit that includes a review of their supply/manufacturing processes as well as reviews their upstream ingredient and raw material suppliers. For our franchise operators, an AFC regional manager, assistant regional manager or food safety auditor periodically audits their facilities to ensure compliance is maintained.These second-party audits cover key HACCP, GMP and QA processes and procedures. AFC also contracts with third-party food safety auditing companies (e.g., Diversity, Ecolab) as well as collaborate with regulatory agencies in their reviews of AFC franchise operations. AFC's commitment and resources for safe, wholesome and quality food are carried across the entire franchise system. 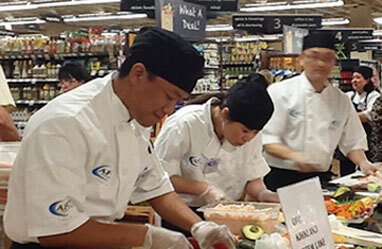 AFC's sushi bar franchises add value to any supermarket. 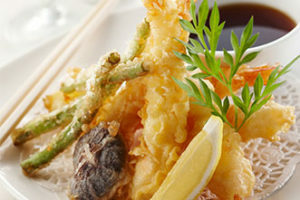 Our freshly prepared sushi uses only the finest, highest grade ingredients. expertly trained at AFC headquarters by our master chef, who possesses over 25 years of experience. This impeccable attention to detail results in gourmet sushi whose exquisite flavor and visual presentation are second to none. Our products provide customers with a quick-meal solution that is healthy, convenient, and economically priced. Our product development team continuously develop innovative recipes that are the envy of the industry. 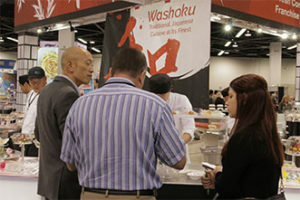 In addition to our sushi bars, we also operate food service counter franchises that feature Asian hot foods. Our franchise operators provide exceptional customer service through customizing orders upon request and conducting product demonstrations and sample tasting. Some of the ingredients we use are gluten-free and some contain reduced sodium. This appeals to many consumers with strict dietary and lifestyle preferences. Such high standards enable us to offer our customers relatively healthy and natural meal options. AFC's team of Regional Managers and Assistant Regional Managers (field personnel) closely oversee each location to ensure our Franchisees (FCs) are operating their business to their fullest potential and maintaining optimal sales performance. continuing education from AFC Headquarters on subject matters such as salesperson mentality, business owner' s mentality, and fundamentals of business success. This enables them to lead by example in guiding FCs to sustained business success.